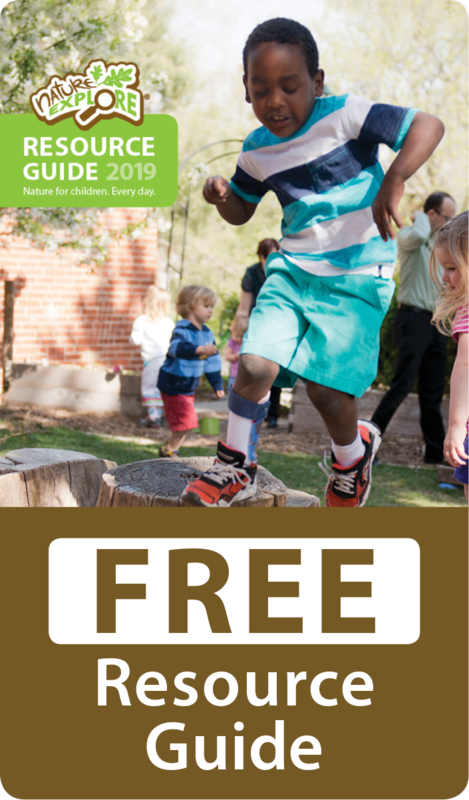 The Nature Connection Environmental Learning Center in the Hurlburt Field Library at Hurlburt Field, FL is the 2nd Certified Nature Explore Classroom in the state of Florida. The name they have given the outdoor space reflects their goal to connect people with the natural world and signifies the support of the environmental unit of the base’s Civil Engineers. Library users include military members and families, federal civilian employees and families and Department of Defense contractors. Containers of ornamental grasses define the entrance. A sweeping expanse of grassy lawn invites children to experience the “Big Play” Area. 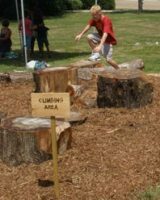 Donated stumps consist of varying heights to challenge children of different ages. The most popular feature is the Music Area and tempts players of all ages. Music can be heard at all hours of the day or evening. Musical instruments, painted in yellow and terra cotta, mirror flowers and pots nearby. 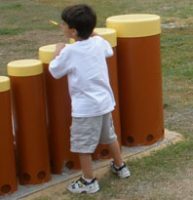 Tuned drums and an imbarimba provide opportunities for individual and group musical play. 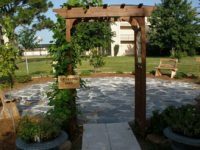 The Growing Area features a butterfly garden that has been certified by the North American Butterfly Association and also by Monarch Watch as a Waystation for migratory monarchs. 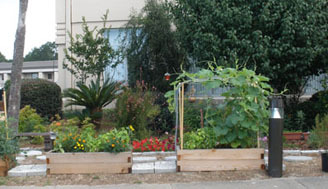 A bark pathway leads between this garden and raised planter beds of vegetables and flowers. 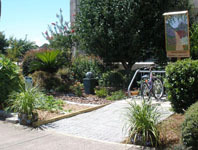 A variety of trees were planted to provide shade, spring and fall color, fruit and fragrance. Library visitors may enjoy observing plants of varying colors, textures and stages of growth. Nature Explore Club materials have been made into kits and are available for check out from the library. Many hands have contributed to the classroom’s construction and design. Adults and parents are engaged through the Library’s Facebook page with photographs and reports on new features. The Library also offers many programs for children and their parents.